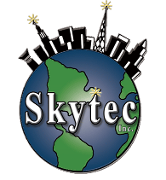 22480 Rectifier Board - Skytec, Inc. The 22480 Rectifier Board is a direct replacement for obsolete part numbers 2480, 1540, 2525. It has multiple high-voltage indicators for use of troubleshooting. This part also includes a built-in arc suppression circuit and conformal protective coating to reduce corrosion.